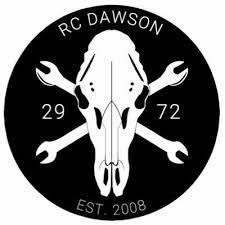 RC Dawson is Dawson School’s competitive robotics team. This exciting and challenging group invites team members to work together to construct large, competition robots that compete in FIRST Robotics competitions. Officially designated as FRC Team 2972, the team has grown and matured each season, becoming a realistic contender early on. Competitions take place in and outside of Colorado: Students are expected to participate in the team’s official competition, which will take place early during the spring sports season. Robotics students also serve as mentors to Middle School’s FIRST Lego League team, and regularly reach out to students in all divisions to help build excitement for the team and encourage future participation. Students can earn a winter co-curricular credit by participating in RC Dawson for at least 100 hours during the six week design/build season that begins on the first Saturday in January and goes until the Tuesday after President’s Day Weekend. Meeting times are 3:30-6:00 p.m. on weeknights, except for Wednesdays, during which “Dinner with the Robot” lasts until 8:30 p.m. Robotics also meets from 9:00 a.m. until 5:00 p.m. on either Saturdays or Sundays, depending on the availability of the team mentors and team leaders.